Parking on the street, or pay the lot across the street five dollars cash and receive five dollars off your check. Various performance artists throughout the week coming soon and a DJ performing every Friday and Saturday late-night. 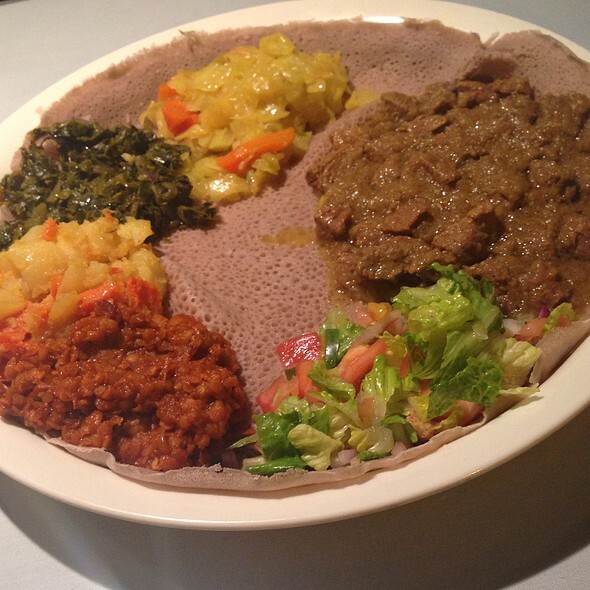 "Addis Ethiopian, taste the cuisine, experience the culture." Meals are served communally on large platters lined with bread and laden with various vegetable and meat dishes. The food and service was perfect, can't wait to return. Excellent service. Great value. Food was delicious. Will go back again next time we are in Richmond. We had a wonderful dinner and our waiter made some very helpful recommendations. The food was very good, flavorful, and plenty to go around. The food is wonderful, portions are generous, and service is good. Lamb and red lentils were our favorite dishes we tried. The service was a bit slow but the food was awesome!! I will be going back soon. This is a wonderful place...food is absolutely delicious. 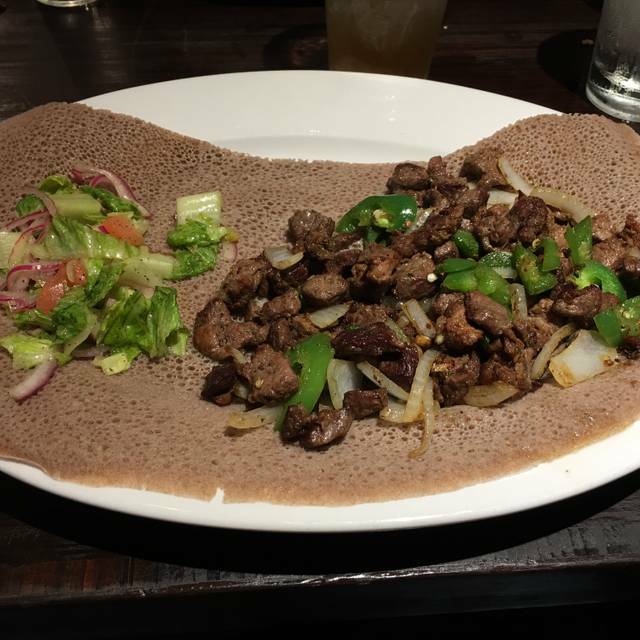 My first experience with Ethiopian food and had no idea what to get. We picked a few vegetable optiona 1 beef dish and 1 chicken dish...all were absolutely wonderful. Vibrant flavors and fun place to dine...try it! Food was good and our server was kind and available. For my first time ever eating Ethiopian food, it was a delight. Very flavorful and tasty. I had my children but I would recommend to not bring little kids if they are busy like mine. Such a great restaurant! Came here 3 years ago and still my favorite Ethiopian restaurant even with me living out of state, I have to come every time I 'm in Richmond. The staff is ALWAYS so helpful with suggestions and patience, very friendly and accommodating. And the food....INCREDIBLE! I've tried just about everything on the menu and everything is great! Great waitress with great knowledge of establishment! Very nice experience. 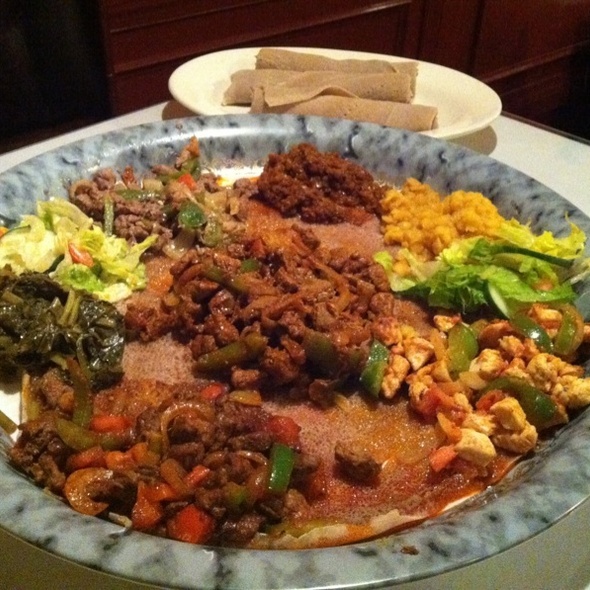 Addis was a great "surprise" find last year that remains on my list of favorite restaurants to visit when in Richmond. The menu selections are unique and delicious; the service is superb. If anyone is looking for an ethnic taste treat, you will be happy you chose Addis... And like myself, will be a return diner whenever possible! The food is all freshly made and I have never had a bad meal here. Especially good is the cabbage and carrot mixture and the injera. I highly recommend this place if you are feeling adventurous. The proprietors are friendly as well. Great service, impossible parking situation. Food was delightful, will go again. My favorite restaurant....food is so delicious and the staff is friendly. If you don’t know what to order, they always make great recommendations. A true Ethiopian dining experience. The food was delicious and is meant to be shared. The service was great - no waiting for a table, any part of the meal or for the check, and the server follow up was well timed and not overdone. Expect to use your fingers, as you use the thin bread to pick up meats or veggies. We went with the recommendations of our waiter and the food was excellent. As always, Addis does not disappoint. The yekik alicha and shrimp tibs are our favorites, but the chicken tibs were also very good. The wait staff is fairly attentive, and helpful with the menu if you are unsure of what to get. Authentic dining style, with no silverware, is always fun. 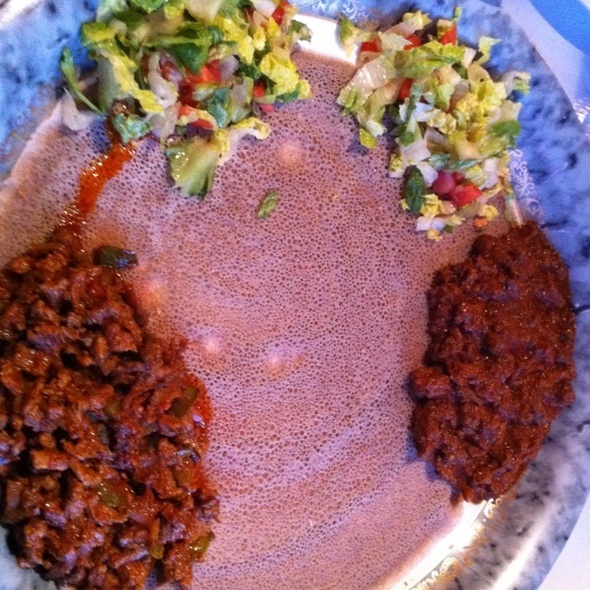 Eating with the injera rolls takes a little practice, but is easy to manage. No worries about getting your hands dirty while eating, as they provide lovely, warm, wet towels for washing up at the end of the meal. Parking is sometimes a challenge, but on this occasion there was ample parking in the little lot across the street. 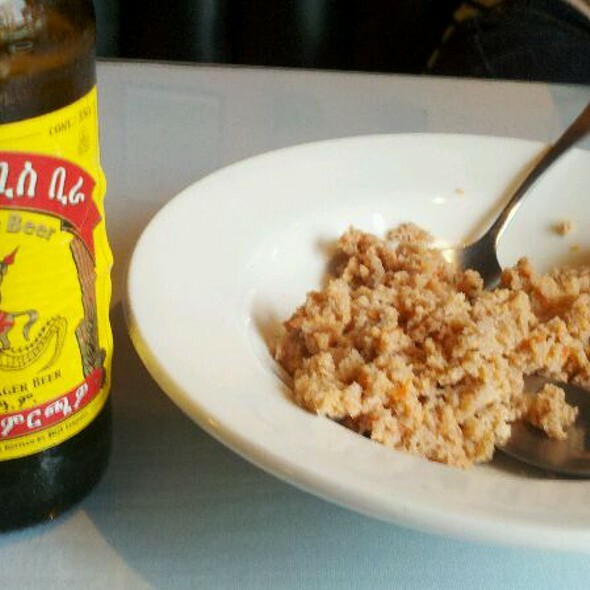 Addis is our new favorite Ethiopian restaurant in Richmond! I took my girlfriend here for her birthday dinner. 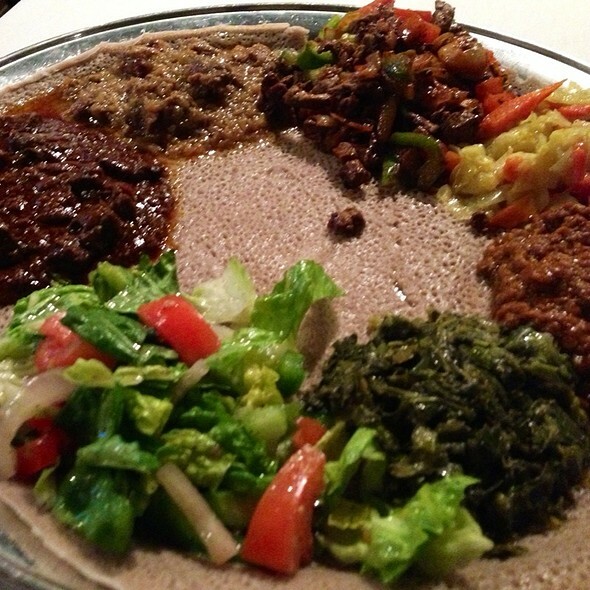 We love Ethiopian food but had only been to the Nile before (it's in Church Hill). I stopped by prior to my reservation to drop off flowers and request a booth. Service was good, no complaints there. The booth seats are by far the best in the restaurant, offering panoramic views of 17th St, and a sense of elevation from the rest of the dining area. We ordered the sambussa app and vegetarian/vegan sampler of six. A few minutes after ordering, the server came to tell us the kitchen was out of yellow split peas. A bummer as it's my girlfriend's favorite but we got extra collard greens as a replacement. Everything was delicious but we particularly loved the red lentils and green beans. The injera was delightful: light, spongy, tangy, and impossible not to eat every last piece of! If you're looking for the "Nice" Ethiopian restaurant in town this is it. They have white cloth napkins, a full bar, and table service. If you're also looking for something different and yummy you are also in the right place. Food tasted fresh and servings were ample. We paid $54 with tip and left stuffed. P.S. 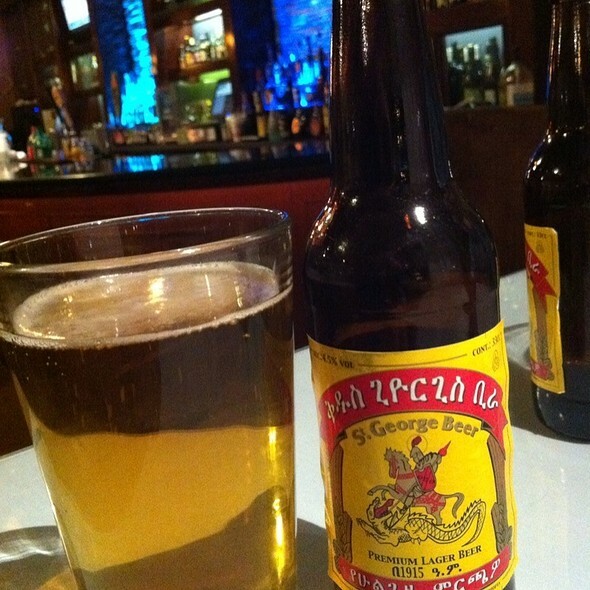 : between the Ethiopian lagers, St. George is a pale so it's lighter in flavor and lower in alcohol (4.5% ABV) compared to Meta (5.5% ABV) which is sweeter and much more flavorful. What an awesome experience and great customer service! The food was incredible. This was a very unique dining experience. 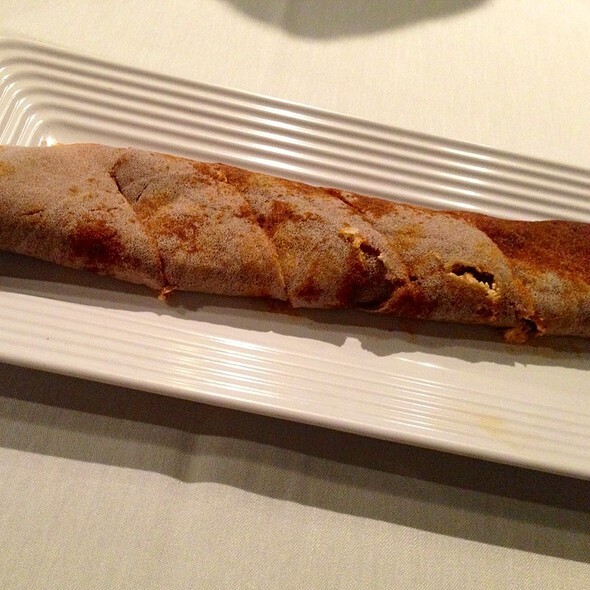 The food has an array of different spices that take your tastebuds on a flavorful getaway. I'm sure the food is good here. 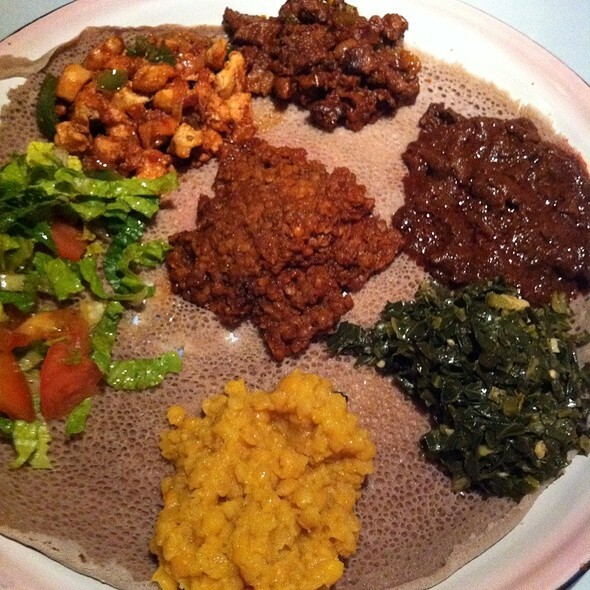 I just don't like Ethiopian cuisine. I tried it again after several years. Not to my liking. That said as compared to other Ethiopian restaurants, it's quite nice. I've been a bit apprehensive about trying this restaurant. I decided to get out of my comfort zone and try new foods do to being underwhelmed which food and service from chain restaurants. Boy am I glad I did. I really enjoying everything about dining at Addis. The food was delicious and the eating with my hands gave me a really great first hand cultural experience. I will definitely be back. Fabulous exotic cuisine that you eat with your fingers. Delicious spices but not too hot. Great Ethiopian wine with hint of honey. We were a group of 8 and 8 gave great reviews. Loved it. We have been to Addis several times and enjoy taking friends. The experience of sharing food, and eating with your hands, is so much fun. Everything I've eaten at Addis was very good. The stewed dishes are my favorite--spicy but not crazy hot. Interesting flavors and combinations. My wife loves the vegetarian dishes. I like that the owner is always on the floor and asks about our experience. One of my favorite restaurants in RVA. Excellent service and food. First time eating Ethiopian food and it was a great experience. Maybe a great place if you're Ethiopian, but a bit of a letdown if you're looking for an upscale dining adventure. Wonderful food and the owner was so nice to us. A must visit. We had never experienced Ethiopean food before so we gave it a try. The waitress was extremely helpful in suggesting a sampler choice to try. We ate the traditional way, with our hands, which also made it fun. It was delicious and we'd go there again. Server was really helpful for the 4 of us who haven't had authentic Ethiopian food before. Never had Ethiopian food before. Really enjoyed the food. Service was very good as well. I will definitely be back! Service attentive, food standard Ethiopian fare and tasty. Very good food and quick. Perfect in the middle of a long drive and in a cool area of Richmond. This place is super cool especially if you're looking for a different food experience. They definitely are constructed for people who don't eat Ethiopian on the reg (and let's be honest, that's 99.9% of us), as they have plenty of sampler platters. I would highly recommend going, getting the sampler, then choosing one or two entrees to get the next time. Super fun dining experience. The place itself is clean, but a little weird with the African music videos playing on a projector in the dining area, but it obviously didn't affect the food or experience for us. The food is delicious. For first time ethiopian-food diners, the wait staff is more than willing to help you decide what to get. My friend and I tried the 3 meat selection and pick three vegetable selection to sample a few different things. The food was great and the staff was great about bringing more of the injera (ethiopian sponge-like bread) whenever we needed some. Overall, good service, great food that is different from the standard routine, and relatively affordable. It is nice too that the owner comes up to every table to make sure the food was good and that you enjoyed yourself. I will be back!